Since 2012, COSMOLIGHT is the owner of the two world-renowned brands for professional lighting fixtures and lighting suspensions: QUARTZCOLOR and IFF. Now, COSMOLIGHT can offer combined and customize lighting and suspension systems for TV studios, video productions, stage and architectural applications worldwide. 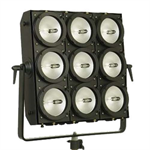 We are a professional lighting manufacturing company. We design and manufacture lighting, suspension systems and an extensive range of related products for the professional lighting industry. In 2012, the acquisition of QUARTZCOLOR and IFF, the world-renowned brands for professional lighting fixtures and lighting suspensions, enables us to further strengthen and expand our business by offering combined lighting and customized suspension systems for TV studios, video productions, stage and architectural applications worldwide. 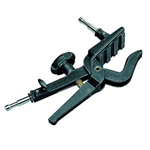 We focus on quality and attention to detail in every aspect of our manufacturing process. We cooperate with long-term European suppliers that support us with top quality components and time-sensitive issues. Our people with a long-standing experience and expertise in the industry carry out the whole production process from designing to assembly in our manufacturing plants based in Rome, Italy. Our customers can rely on dedicated technical support for planning and design, budgeting, installation, operation and maintenance at all times, directly from us or through our authorized distributors and project partners worldwide. From a single product to a complete customized system, we work closely with our customers to understand their specific needs so as to provide the best and cost-effective lighting solutions on time and within budget. All lighting and suspension products are completely designed and manufactured in our 4,000 m2 factory located in Rome, Italy. 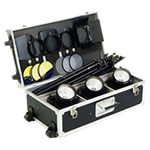 We make use of modern and high-tech machinery to get components for both lighting and rigging assembly departments. We realize our products in full compliance with international labour standards and in accordance with the most severe safety regulations. At COSMOLIGHT, we combine passion and attention to detail to design and manufacture innovative lighting equipment including combined lighting and customized suspension systems that enable our customers to deliver reliable, durable and low-maintenance lighting solutions. We strive to compete at the highest and most challenging international level as a single supplier for complete lighting and rigging solutions by offering comprehensive customer support on projects, allowing our customers to save costs in terms of time, logistics, service, maintenance, and technical support. by helping our customers deliver amazing shows with the best light. Integrity and Reliability: Our customers can always rely on us, even after years. Experience: We value our experience and we are very proud of it. The experience we deliver to our customers is a great part of our success and growth as a company. Innovation: We constantly strive to improve our products and processes to satisfy our customers' specific needs. Partnership: We value our relationships and we take a long-term view on them. With customers, to understand and meet their requirements. With project partners and distributors, to deliver increasing value. With suppliers, to find the best materials in a timely manner. Teamwork and Respect: We work together as a team in a family-like environment and encourage everyone to contribute with experience and ideas to the company. 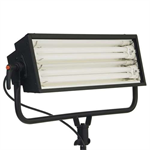 Francesco Rocchi creates his first portable lighting unit. Francesco Rocchi forms FRANCESCO ROCCHI COMPANY with his wife Pasqua. 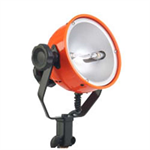 COSMOLIGHT company is established with the aim to enter the international markets. BRIVIDO SERIES fluorescent range is presented at IBC - Amsterdam. COSMOLIGHT moves into a bigger manufacturing facility. COSMOLIGHT celebrates its 30th anniversary with a new logo. COSMOLIGHT acquires QUARTZCOLOR and IFF brands. 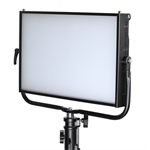 COSMOLIGHT introduces the STUDIO LED X SERIES at IBC – Amsterdam. COSMOLIGHT inaugurates a new manufacturing building.